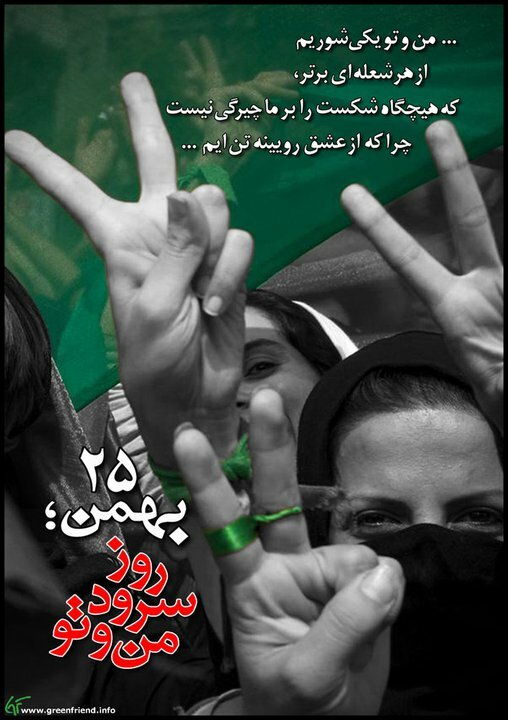 August | 2011 | FREE IRAN NOW! Families of those arrested during the Ramadhan’s fast-breaking hours on Wednesday, August 24th, 2011, spoke with Rooz about their family members and said they still had no information about their status. As described by witnesses and published video clips, an intense security atmosphere prevailed in yesterday’s gatherings and security forces in Tabriz tried to prevent people from gathering. In the town of Orumieh tear gas and shot were fired in the air to disperse crowds. This violence came despite that the slogans and calls of the demonstrators were mostly regarding environmental issues and the condition of Orumieh Lake. Dictators like Qaddafi, who had long professed to love his people while cultivating an image of himself as a father figure feared by his children, have proved to be fooling only themselves. The truth is that at the end, dictators are neither loved nor feared. Sooner, if not later, that same truth will visit Syria and Iran. Iran „discreetly“ provided humanitarian aid to Libyan rebels before the fall of Tripoli, Jam-e-Jam newspaper quoted foreign minister Ali Akbar Salehi on Sunday as saying. „We were in touch with many of the rebel groups in Libya before the fall of (Muammar) Gaddafi, and discreetly dispatched three or four food and medical consignments to Benghazi,“ Salehi told the daily. „The head of the National Transitional Council (NTC), Mustafa Abdel Jalil, sent a letter of thanks to President Mahmoud Ahmadinejad for having been on their side and helping,“ he added. Since the Libyan uprising erupted in mid-February, Iran has adopted a dual approach – criticising the Gaddafi regime for its violent assaults on the rebels while at the same time condemning NATO’s military intervention. On Tuesday, Iran „congratulated the Muslim people of Libya“ after rebels overran the capital Tripoli, but it has so far distanced itself from officially recognising the NTC. Fatemeh Karroubi, under strict arrest with her husband Mehdi Karroubi, has spokenof their conditions. She says they are in separated from each other in small, one-bedroom apartments and deprived of all essential rights as fresh air, books, and contacts. Fatemeh Karroubi says that, despite the conditions, Mehdi Karroubi — a former Speaker of Parliament, 2009 Presidential candidate, and leading figure in the challenge to the regime after that election — remains in „good and strong“ spirits. The Karroubis were cut off from the world, with security forces occupying their apartment, in mid-February. Yesterday the quiet city of Orumiyeh became turbulent for a few hours. The city lies near lake Orumiyeh (in the Azerbaijan province), one of the largest lakes in the middle east. The important body of water is drying up due to neglect by Iranian authorities. The Azeri-speaking people of this city held peaceful gatherings to protest against the destruction of lake Orumiyeh and the lack of consideration by Iranian parliament members and officials to save it. Im Iran droht der Lake Urmia auszutrocknen. Eine ökologische Katastrophe ersten Ranges droht. Deshalb finden in den letzten Tagen immer wieder Demonstrationen statt. Die natürlich vom iranischen Regime brutal unterdrückt werden. Iran’s Intelligence Ministry has detained over 30 ethnic Azeris in recent days over environmental protests, RFE/RL’s Azerbaijani Service reports. Members of the activists‘ families told RFE/RL that over 30 people were detained on August 24 during an iftar evening meal when Muslims observing Ramadan break their fast. On August 25, several more activists were detained before and after a soccer match in Tabriz between the Azerbaijani Trakhtorsazi team and local team Shahrdari Tabriz. Thousands of Azerbaijani fans chanted „Lake Urmia is dying, the Majlis orders its execution“ during the match. Iran, Syria’s closest ally, called on the government in Damascus to recognize its people’s “legitimate” demands on Saturday, in the first such remarks to come from the Persian country since the five-month-old uprising against President Bashar al-Assad started. Although the remarks, by Iran’s foreign minister, Ali Akbar Salehi, did not advocate any specific changes, they were the first public sign of growing unease with the crisis in Syria — even as Iran has maintained an unyielding crackdown on its own dissenters.